The other day, I went to a local landmark, the Grist Mill. Eons ago in the 1800s, it operated just as that, a grist mill. Joshua Chauvet who settled in Glen Ellen around 1850 started it. He opened a winery, the grist mill and a brickyard. Everyday, I am reminded of this entrepreneurial man, as his bricks decorate my home. And, they are surely gorgeous in a rustically historic way. 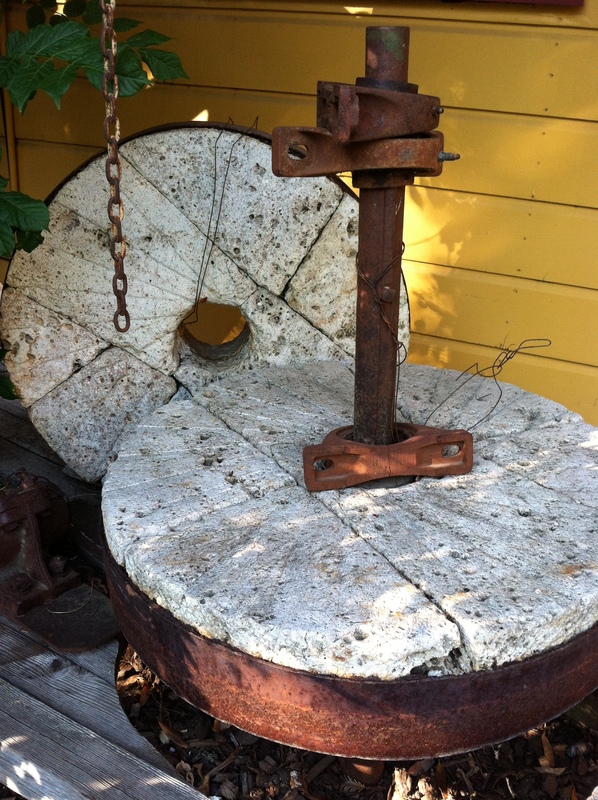 Today, the grist mill is part of a darling little shopping village called Jack London Village. In it there are restaurants and even a chocolate shop which in my opinion is not to be missed. Across the way is Eric Ross winery, which is worth a visit. Try the Albarino, totally delicious. Although the grist mill is no longer milling grains for bread,one can’t help but think of bread being made when walking around. From the large mill stones to the water wheel, there are reminders at every turn and even in the most unusual of places. So, my particular visit was on an extremely hot afternoon around dinner time. I didn’t want to cook so opted for some Indian, Himalayan food. Yeti Restaurant is divine. While waiting for my order, I sat at the bar watching the chefs cook. An avid cook myself, I was most interested in seeing what they were doing. A round pillow really intrigued me. Then, the chef took a ball of dough, rolled it out. He moistened it with water and then grabbed the round pillow. The dough was wrapped around the round pillow. He then, placed it in a oven. A couple of minutes later, naan. The whole process was a dance, perfected in every-way. Sometimes, I wonder what Joshua Chauvet would have thought of such an international delicacy being made there. My own bread making has room for improvement. 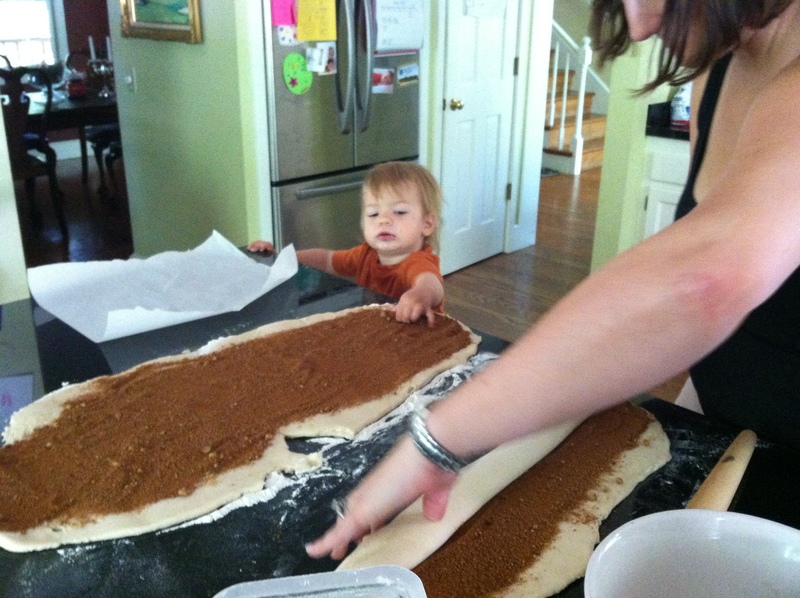 Bread is such a complicated process. For those of you who bake, you know how finicky sourdough yeast can be, or how the smallest of variations can impact the taste of things. From sourdough baguettes to cinnamon rolls, I’ve had my share of baking trials. The latest was with cinnamon rolls for a church gathering. They literally took three days to make. And, two of the three batches were off. The dough was denser than usual. Something with the yeast or flour I think. Totally frustrated, I almost pitched them all and started anew at 10pm. But I decided to set aside my perfectionist side and just enjoy them as they were. They ended up being gobbled up in no time at all. Having these experiences makes me appreciate the art of bread. And when I find the right loaf I appreciate it in every-way savoring its smell, texture and taste. The grist mill, the naan, a loaf from La Farine bakery in Oakland. All to be embraced. It’s like life. When things all work together and create something beautiful, its time to embrace it, memoralize it and remember it. Holding onto those times for other more challenging moments. And, when things don’t go as planned, like my cinnamon rolls, it’s time to reevaluate and potentially roll with it. For the good is what makes the bad bearable. It makes it worth it. So, here’s to finding your perfect loaf. Cheers!